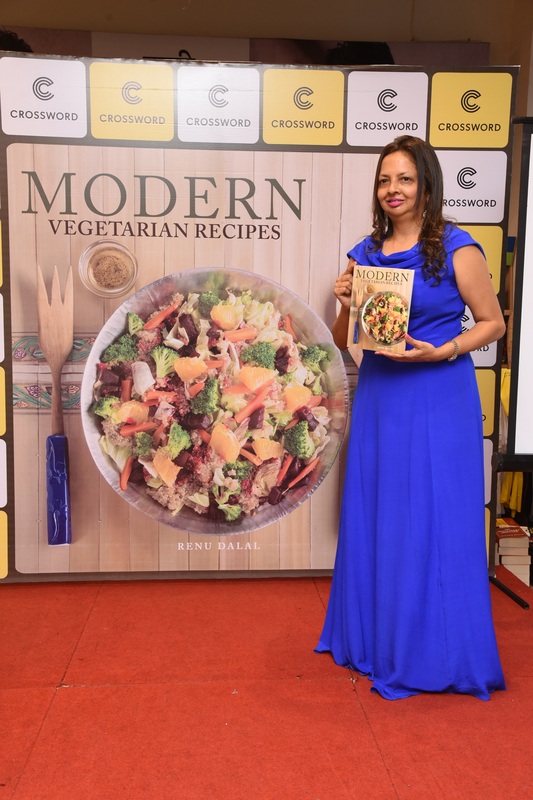 Meet Renu Dalal, she is an author of “Modern Vegetarian Recipes”, it is a cookbook for vegetarians and food lovers. I decided to write this book as a dedication to my Late Mother Mrs. Tarla Dalal who was a legendary chef and bestselling author on vegetarian food. What I am today is all because of my mother, who taught me the basic lessons in culinary at a very young age and imbibed her skills in me. I look forward to writing recipes and provide different options on the table. Vegetarian food is really in the limelight now and is popular all over the world, says Renu. We got an opportunity to talk with Renu, and see what she has to say. I am sure her interview with us will inspire you. My Venture comprises from Food Beverage Sector. 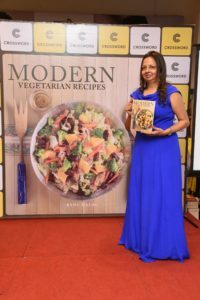 I have authored and launched a cookbook “Modern Vegetarian Recipes”. The recipes are inventive, simple and easy to follow. A number of them are a fusion of eastern and western styles of cooking. The book is dedicated to my late mother Mrs. Tarla Dalal an iconic name in the field of cooking. It’s been 44 years now since her first book was launched. She made cooking look very simple and that is what I have done in my first book. As many of the ingredients are easily available today I have been able to create simple dishes that are easy to make. I decided to write this book as a dedication to my Late Mother Mrs. Tarla Dalal who was a legendary chef and bestselling author on vegetarian food. What I am today is all because of my mother, who taught me the basic lessons in culinary at a very young age and imbibed her skills in me. I look forward to writing recipes and provide different options on the table. Vegetarian food is really in the limelight now and is popular all over the world. I am working as a director in Dalal Engineering Pvt. Ltd. I look after the finance and accounting functions of the organization. I still continue to work here. My venture is based out of Mumbai. Since Mumbai is a cosmopolitan city, I have to pen down the recipes keeping the taste preferences of people from all ethnicity and design them in the most palliating way. Yes, Mumbai is the best place for me. I am always looking for innovations in my cooking style and recipes. It is a myth that vegetarians don’t have much option when it comes to experimenting with food. The question that keeps me awake is –How can I live up to expectations set for me. I am also writing a new book, so am thinking of new ideas to present in the book. Everyone has their own space and followers when it comes to recipes. Food industry is all about what you bring to the table. I believe in competition with my own self and bringing out the best in me. As it helps me to understand better what works best for my readers. Initially it’s difficult and chaotic to deal with work life and professional life. But in a matter of some time, you get used to the work regime and it becomes your lifestyle. I have to travel sometimes to promote my book. I work in the day at Dalal Engineering and in the evening and weekends be in the kitchen to develop new recipes and pen them down. No, we haven’t raised any funding yet. Being a legendary author’s daughter, continuing with her legacy brings in lot of expectation from the society. My mother was a pioneer in the field of vegetarian cuisine and she made cooking look super easy. That I follow her cooking style and live up to peoples expectation becomes little difficult. As I come with my own strengths and trends in cooking. Another misconception is that I am modifying my mother’s recipes. I am focusing on inventive and fusion cooking and through my extensive travels I pick up new ideas of recipes and presentation of food. The thing which gets me most excited about my cookbook is people’s reaction and their feedback to the recipes. The way to a person’s heart is through food and it gives me absolute pleasure to know my recipes helps people to connect with each other on the dining table and spend quality time with the loved ones in the world full of digitalization. I am extremely happy that I can bring inventive and new recipes in households. It’s a great way to communicate through recipes. I wake up by 7 in the morning and sip my green tea first. After which I go for a walk to bask in the sun and get little Vitamin D. Doing Pilates is my personal favorite. The day continues with working in the office at Nariman Point. Evening mostly passes by experimenting and cooking in the kitchen followed by which I spend some time with my family. My job mostly comprises of One Man Army. But I do have a team of people who manage my social media accounts and public relations.